A barrier cream is a topical formulation used in industrial applications to place a physical barrier between the skin and contaminants that may irritate the skin (contact dermatitis or occupational dermatitis). There are many other terms for creams designed to protect skin from harmful substances, including skin protective creams, pre-work creams, after work creams, antisolvent gels, protective ointments and shielding lotions. 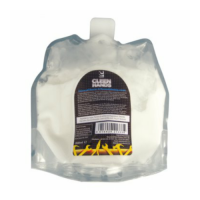 They are designed to protect against the harm from detergents and other irritants. 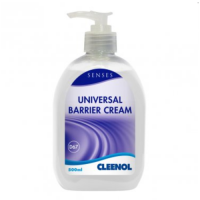 Cleen Hands Universal Barrier & Reconditioning Cream is a highly effec..
A highly effective barrier and moisturising cream designed to ensure t..